NO PEALING, stickers! Wedding braid, Unity ceremony, or Artpiece! Family Heirloom. Mark 10 9 ........... "Therefore what God has joined together, let no man put asunder; "
that by it they become as one flesh, and can no more be separated than one member from another. "Though one may be overpowered, two can defend themselves. 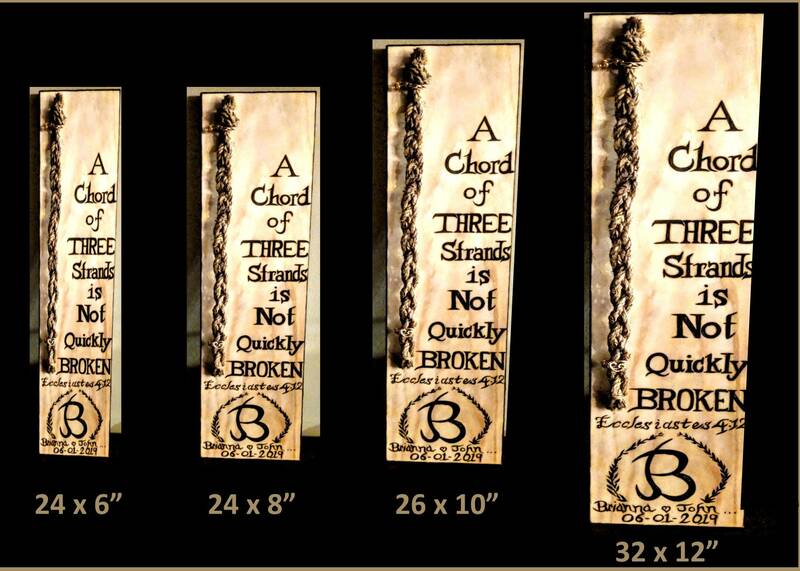 A cord of three strands is not quickly broken." 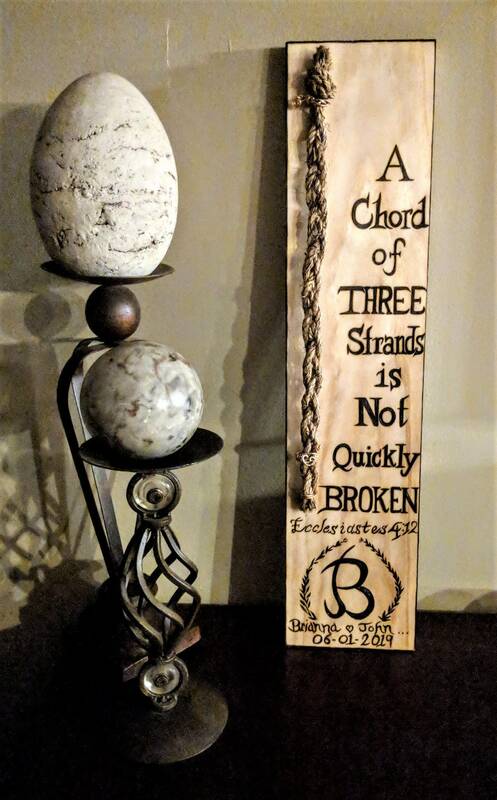 "NO Cheap stickers that will peel OFF"
which undludes, Wood burned Scripture, with Couples Initial, Names and Wedding Date! Your Art will come unbraided unless your request prebraided for anniversay gift. A Strong marriage has Gods LOVE as its foundation. Since we believe that love is a gift from God, it is fitting to symbolize that divine involvement at the very center of this new union. Following the exchange of vows and rings, the bride and groom braid the three strands together. The groom holds a small metal ring with three attached strands. 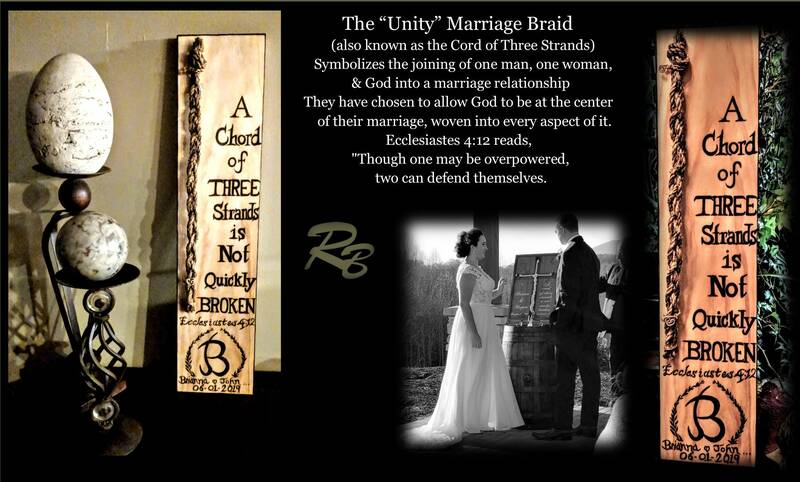 The bride then braids the strands together, symbolizing the union of God, husband and wife. A reading such as the following while the braiding is accomplished helps to explain the meaning of the ceremony to your guests.